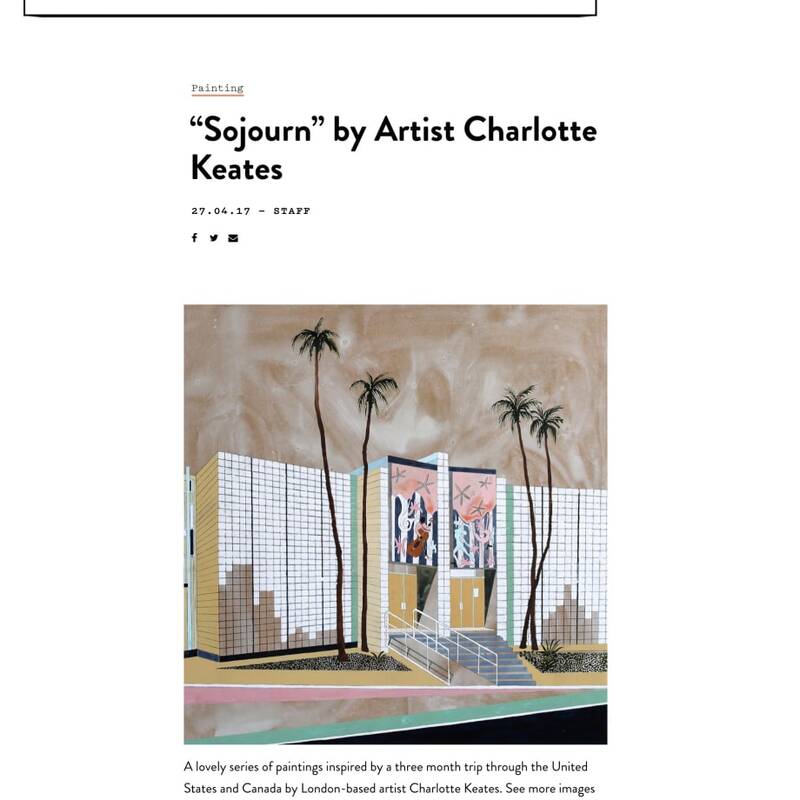 A lovely series of paintings inspired by a three month trip through the United States and Canada by London-based artist Charlotte Keates. 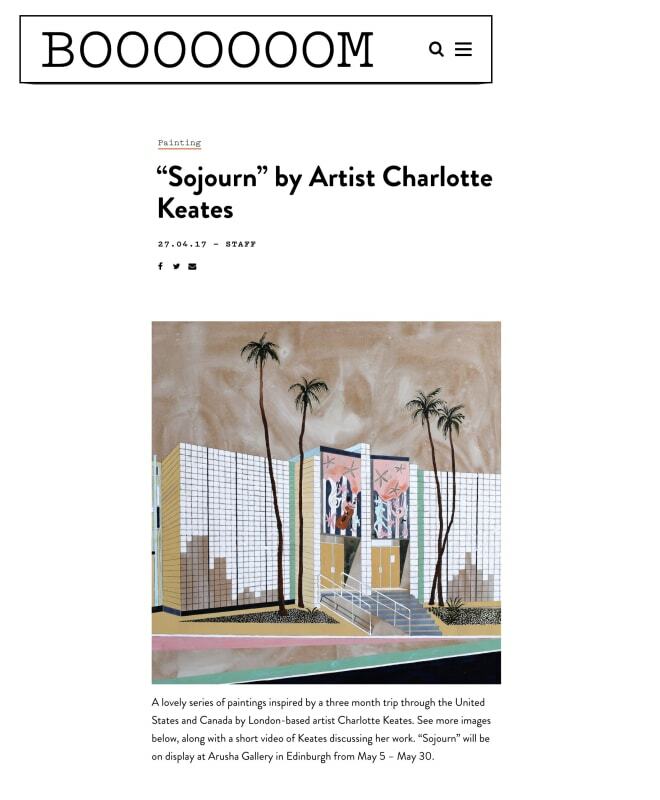 See more images below, along with a short video of Keates discussing her work. "Sojourn" will be on display at Arusha Gallery in Edinburgh from May 5 - May 30.